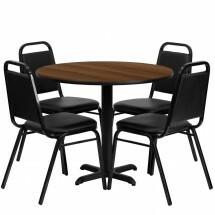 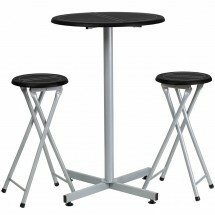 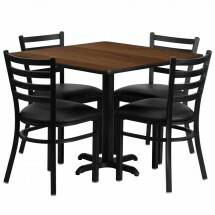 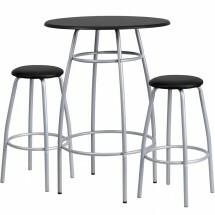 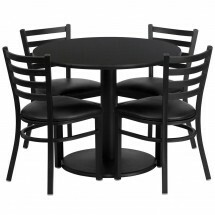 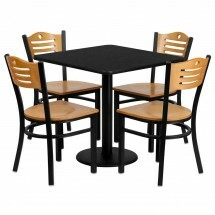 Shop our large and exciting brand new selection of restaurant table and chairs sets brought to you by Flash Furniture. 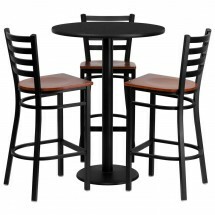 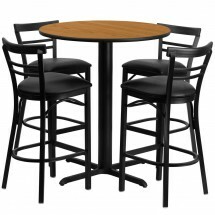 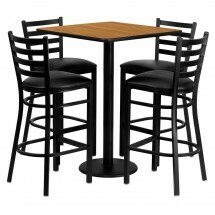 These table and chair sets are made of sturdy construction with an attractive look that is perfect for restaurants, bistros, bars and pubs. 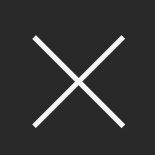 Shop for round or square tables from 24" to 36" in black, walnut or mahogany with matching ladder back chairs, banquet chairs or bar stool chairs at incredible prices. 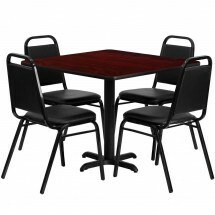 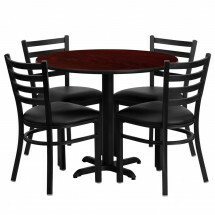 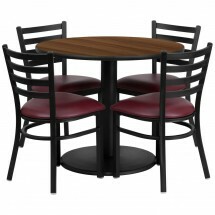 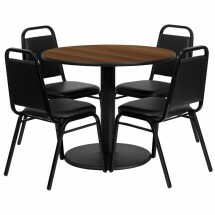 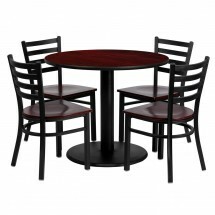 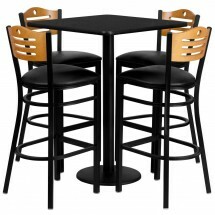 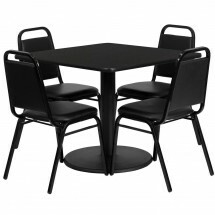 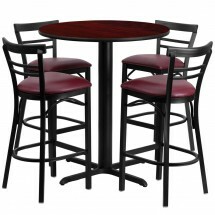 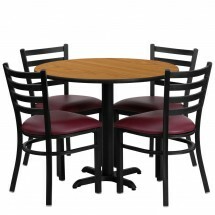 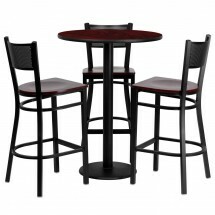 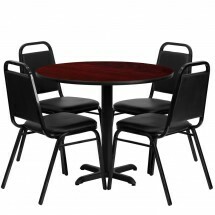 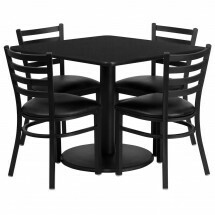 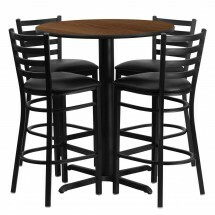 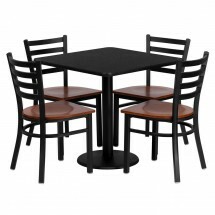 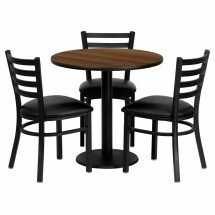 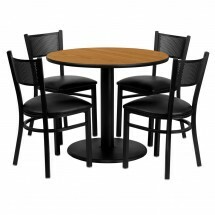 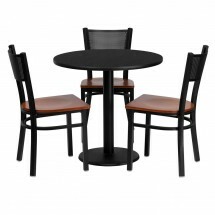 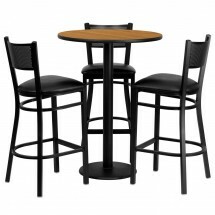 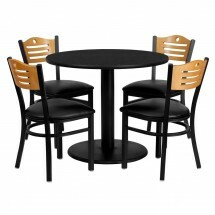 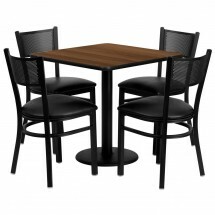 Find the restaurant table and chair set that will look perfect in your food establishment.